Any craft that uses book pages in it’s design. 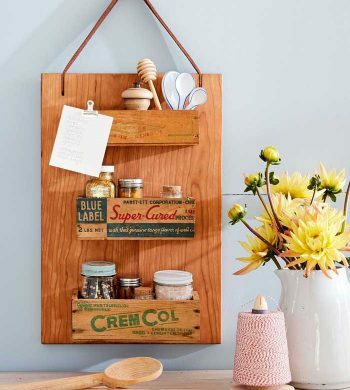 Pull out your unwanted items and repurpose them using the unique ideas in one of the fifty recycled crafts found here! 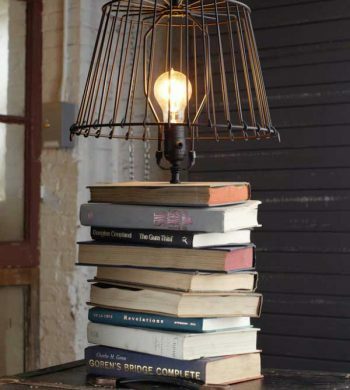 Are you wondering what to do with old books just stacking up? 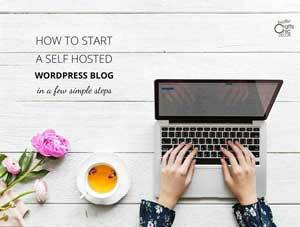 I have some creative ideas that will get you putting those books to use right away! 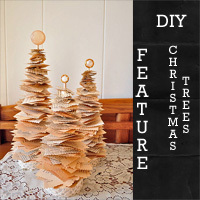 Check out this amazing Anthropologie inspired DIY Christmas tree craft, using book pages, submitted by 906 E. Chic. 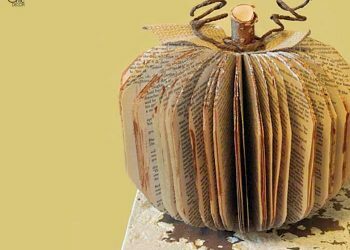 See how you can make a festive pumpkin, for the Fall season, out of an old paperback book with this book page pumpkin craft! 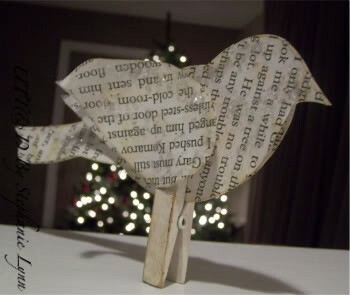 Start pulling out your old paper backs for these great book page crafts! Get inspired by all of the easy tutorials for home decor items. 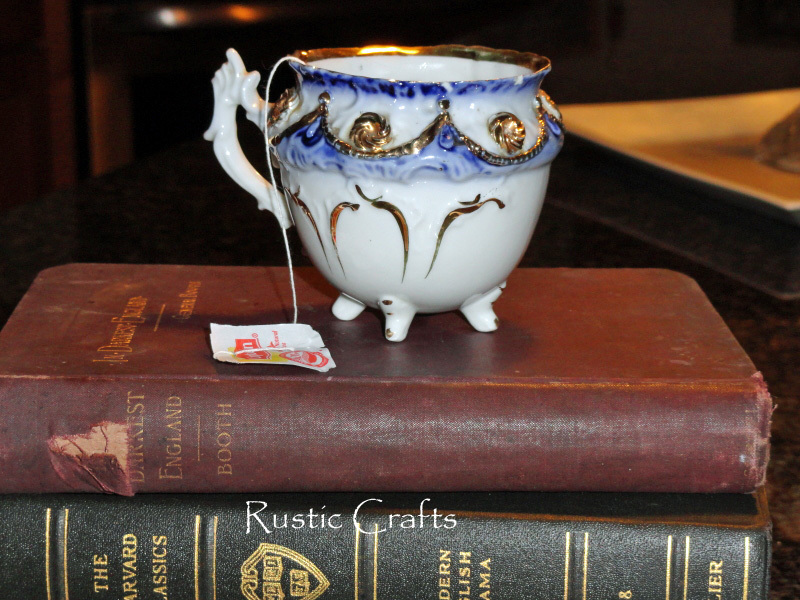 For book page crafts, learn how to age paper to get the look of old book pages with this simple aging technique using tea bags.